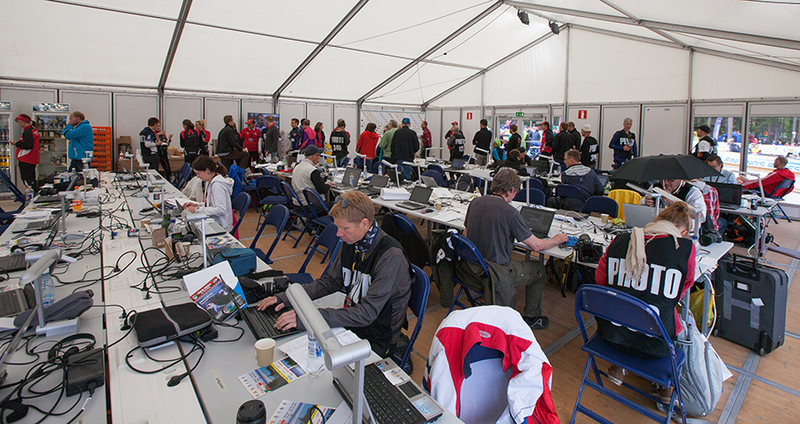 Media are welcome to work at Kuopio-Jukola! We’ll do our best to provide you with good working conditions. There will be a form to fill in for media accreditation 29.4. – 30.5. See Accreditation. The competition centre is situated approximately 50 km from the centre of Kuopio. There is a reservation for the media and VIP guests at Kylpylähotelli Rauhalahti (Spa Hotel Rauhalahti) from Friday 13.6. to Sunday 15.6. in case hotel accommodation is needed. Rauhalahti is situated about 8 km south of the city centre. Everyone will make their own reservation at the hotel sales service, tel. +358-30-60830 or email: myynti(at)rauhalahti.fi. When making a reservation, please write: Kuopio-Jukola / media. The hotel will keep the rooms reserved for Jukola guests till 30.5. so be quick! There are several other events in Kuopio during the Jukola weekend so it may be challenging to find accommodation. There will be a Jukola information desk at Spa Hotel Rauhalahti on Friday 13.6.2014 at 2 pm – 6 pm. On Saturday 14.6. there will be bus transport from the harbour to the competition centre, via the railway station and the airport. Please inform us in advance if you need this service. The media center will be like the previous ones. 80 journalists will be able to work there at the same time. There will be both wireless (WLAN) and broadband connection to the Internet. With your accreditation application you can let us know about your needs regarding access to the internet. For photographers there are more options than earlier. You can work in the changeover and finish area and to a large extent in the forest. The number of accredited photographers will be limited, so we hope that those who make an accreditation really work as photographers.